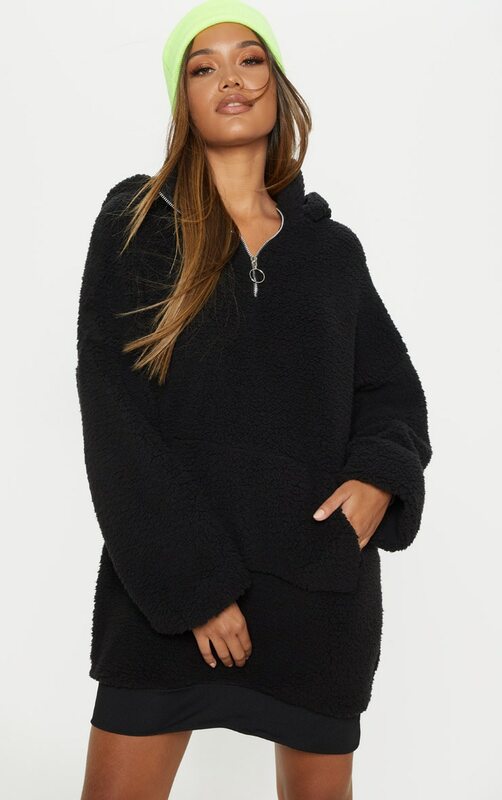 This fluffy number is a must have this season doll. 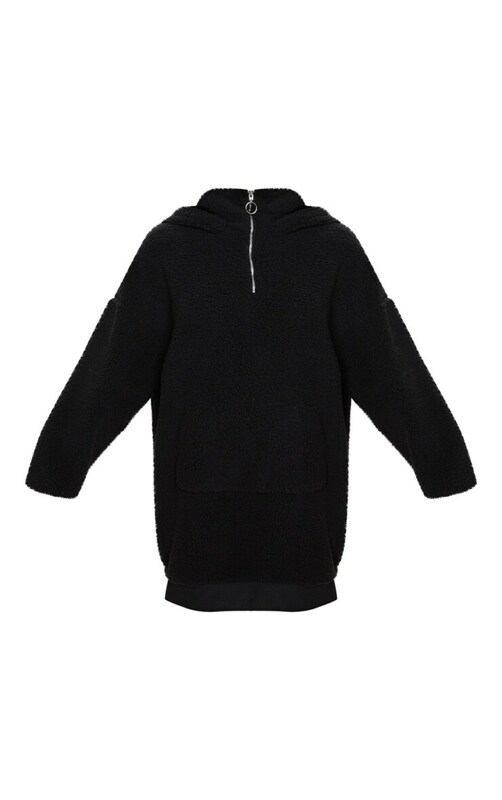 Featuring a black borg fabric with a zip up front, loose fit and hood, you can't go wrong in this for those off-duty days! Team with bright socks and chunky black boots for a look we're loving.